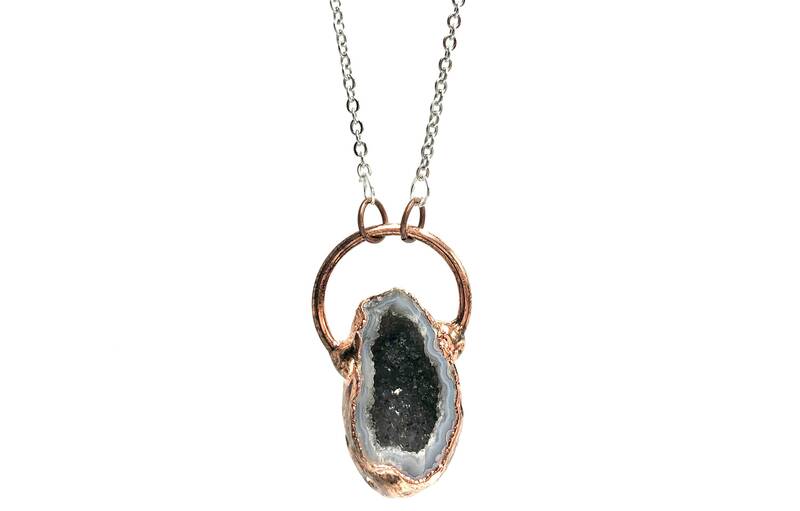 This gorgeous rustic geode necklace features copper electroplating and tarnish resistant stainless steel chain. Lead and nickel free. 18 inches long with a 5 inch soldered extender. Due to the natural nature of the stones, each piece looks a little different.